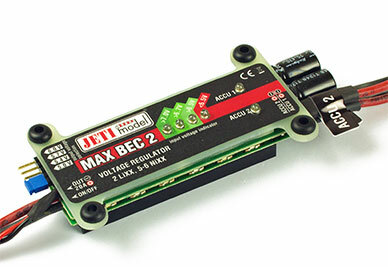 The Jeti Max BEC 2 is a linear voltage regulator offering two power inputs for two 2S lithium polymer batteries or 6S NiXX, with a maximum output of 20 amps, a sustained output of 12 amps and a weight of 85 grams. The linear voltage regulation provided by this unit does not contribute to radio interference. 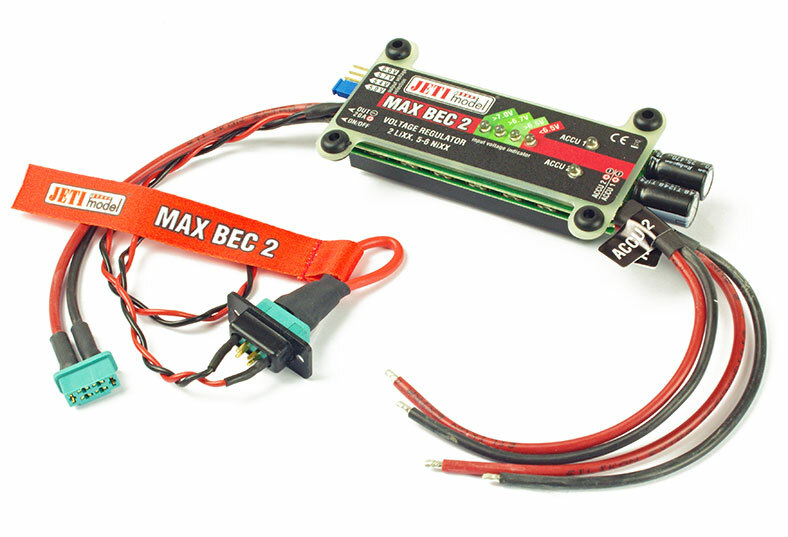 Max BEC 2 can be supplied either by NiCd/NiMH or Li-Po/LiFe cells. 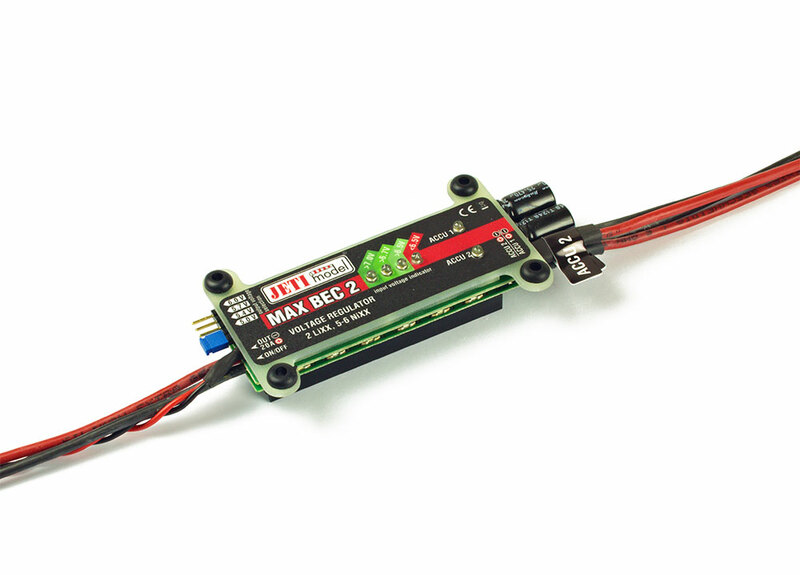 This unit is better suited to 2S Li-Poly cells or 5-6 NiMH cells. The input voltage is indicated by four LEDs. If the input voltage is above 7V, all three green LEDs are ON. While the cells are gradually discharging, particular LEDs go OFF depending on input voltage (lower then 7V, 6.7V, 6.45V). If the input voltage is under 6.5V, the red LED goes ON indicating that cells are discharged (if using a 2S Li-Poly this means that the voltage of each cell is below 3.25V per cell).